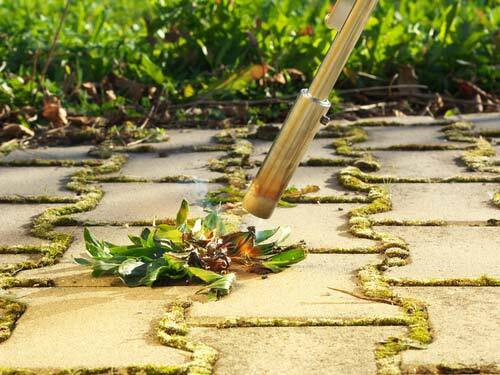 With a little creativity, you can kill your weeds without harmful herbicides. Organic gardening is full of joys. There’s the simple pleasure of watching something you planted turn into food, there’s the joy of making a dinner for your family using veggies you created yourself, and, of course, there’s the satisfaction of using the phrase “my organic garden” around your friends. But one of the major pains of maintaining an organic garden is the “organic” part — especially when it comes to removing weeds. If you’ve never looked at weeds sprouting in your kale bed and then considered how much easier life would be if you could spray some Round Up on it, you’re a stronger person than I am. Fortunately, you can get creative when it comes to killing weeds using regular, everyday objects around your house, much like secret agent Angus MacGyver if he were a gardener. Here’s what you can do to slaughter your backyard weeds without giving a dime to plant poison companies. You already know this one, but it’s worth mentioning because not all weed problems call for super secret garden hacks. If your weed problem is minor enough that it could be solved by spending an hour digging in the dirt, then you should just go that route. It’s as organic as it comes. Just be sure to get as much of the root out as you can when you dig it out. This one’s easy, if slightly dangerous. Just boil water on your stove, and pour it all over the stems and leaves of the plants you want to kill. Sensitive plants simply can’t withstand being scalded. The bonus of this one is that it keeps the soil completely intact, so you can plant on the soaked area once the weeds die. Just a word of warning: boiling water is no joke. If it spills on your skin or clothes, you risk painful burns. And the longer the distance between your stove and your garden, the greater risk of a mishap. Be cautious. 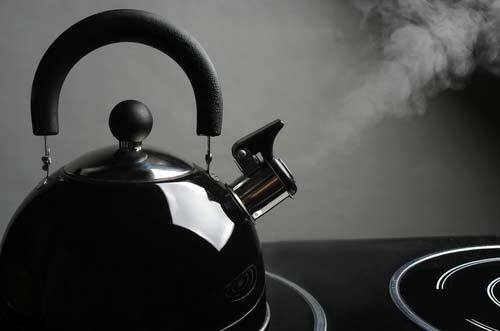 It’s best to use a kettle to keep the water as enclosed as possible before you pour it. Ever notice how weed-free sandy beaches are? That’s because the salt water from the ocean makes the sand completely impossible for land-dwelling plants to grow there. You can take a cue from Poseidon's weed control methods by mix salt and water together. Be selective in how you use this solution, and try to get as little of it as possible in the soil. If your soil gets too salty, it will become infertile. Most good garden stores sell “flamers.” These are devices that can direct super intense heat (around 2,0000 degrees Fahrenheit) to kill undesirable plants. It literally boils the water inside the plant, instantly killing off the plant’s cells. While this method is organic, it is obviously dangerous to wield a plant flamethrower in your garden. Keep the kids away and use caution. Note: You are technically not required to shout “Flame ON!” like the Human Torch before you blast weeds to their fiery doom. But it’s an option worth considering. All plants despise vinegar. So you simply have to pour some household white vinegar in a spray bottle and completely coat the leaves of the weeds that you have to kill. 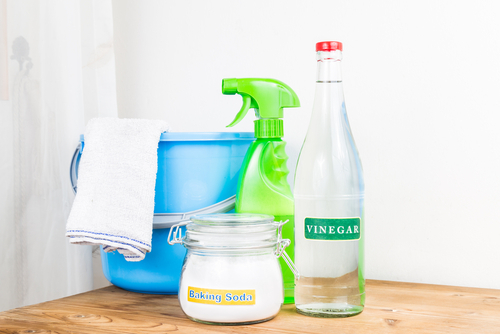 While what you have in your kitchen will work, gardening supply stores sell highly acidic vinegar that can help you kill off more stubborn weeds. 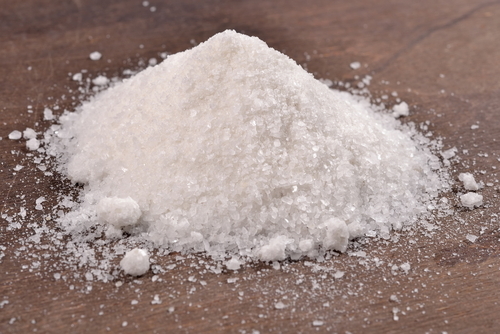 If you’re serious about getting your clothes their cleanest, you might have some borax stored with your laundry supplies. It’s a naturally occurring substance that dissolves in water and just happens to be terrible for plants. 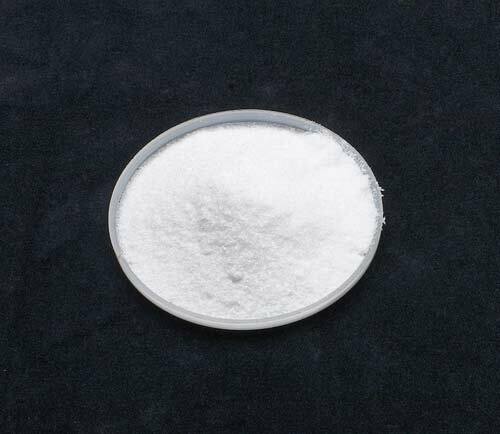 To make your natural borax-based weed killer, start by dissolving 10 ounces of it in 4 ounces of warm water. Then add that solution to 2 and a half gallons of water. 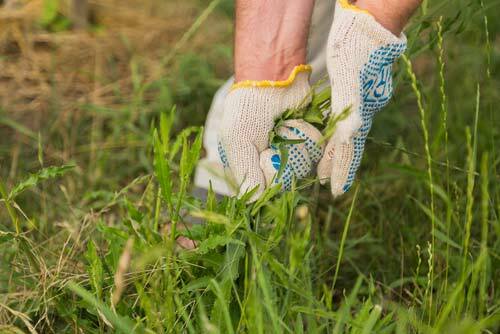 You’ll have enough to lay waste to 1,000 square feet of nutrient-stealing weeds. Just pour some in a spray bottle and thoroughly coat any plants you want to wilt. A word of warning: this solution will kill any plant life it comes in contact with, so be cautious when working around your garden. Your weeds definitely won’t see this one coming. 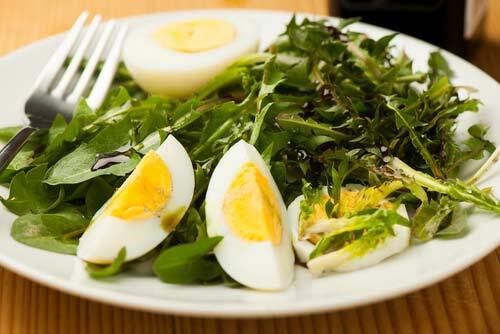 Several weed species, such as chickweed, dandelions, and chicory, are safe and tasty to eat. You should first identify the species of weed that’s invading your garden. If it’s edible, look up recipes. Chickweed, for example, can be a great addition to pesto. Once you have your meal planned, dig out the weed (again, from the root), wash it thoroughly, and start preparing it. "Here’s what you can do to slaughter your backyard weeds without giving a dime to plant poison companies. "